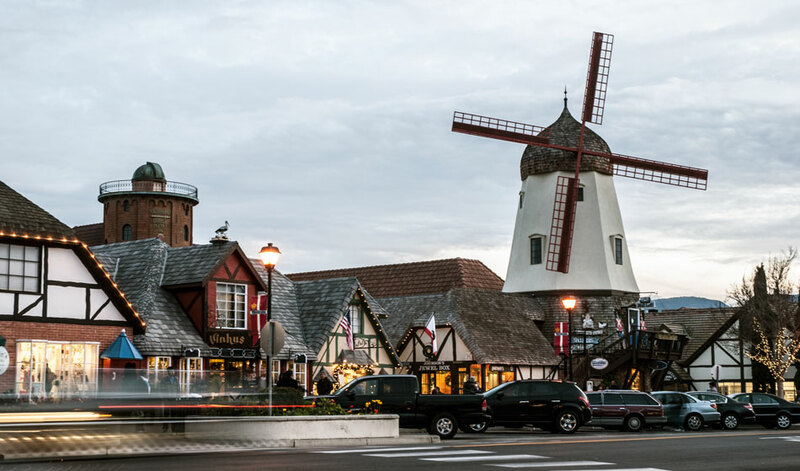 One of the best places to spend a leisurely vacation afternoon is in the Danish village of Solvang in the Santa Ynez Valley on California's central coast. 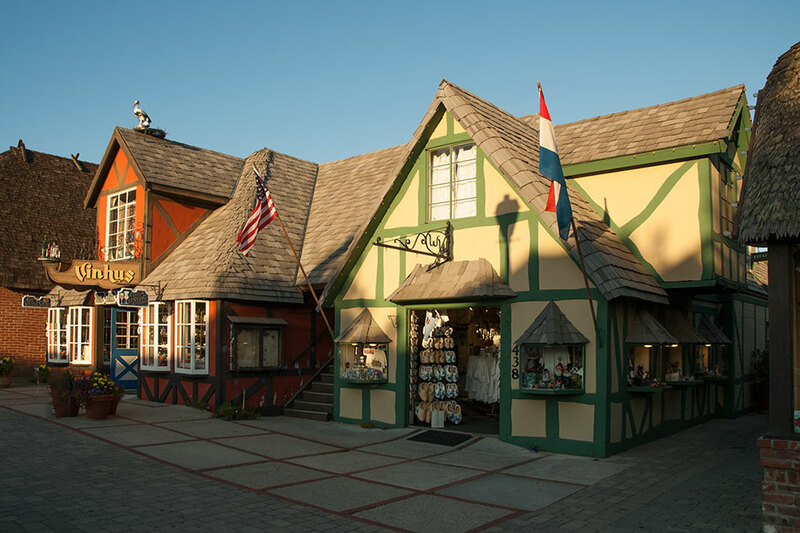 Incongruously located on an old Mexican land grant, Solvang was founded in 1911 by a group of Danish immigrants. Today, it is a charming tourist attraction with Danish bakeries, shops and restaurants as well as art galleries. Its key feature, however, is its architecture and replicas of Danish landmarks. Forty-six miles northwest of Santa Barbara and about 15 miles north of the Pacific coast, the village of about 5,000 people is an outgrowth of the Danish migration between 1850 and 1930 when one Dane in ten emigrated mostly to the United States because of economic problems in Denmark. 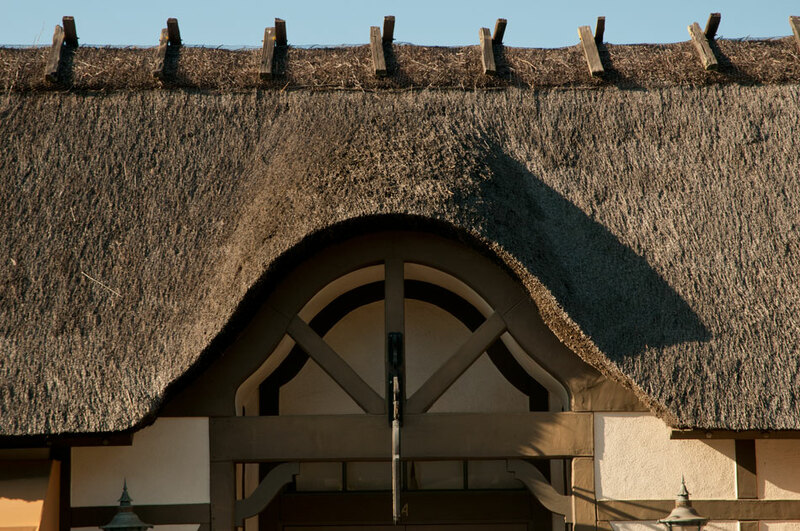 The name Solvang means Sunny Field in Danish, an apt handle for the temperate, sunny Central Coast climate. Danish immigrants originally went to other states, where they built communities, churches and schools to follow the teachings of a Danish Lutheran pastor named N.F.S. Grundtvig. Some of his followers, including pastor Benedict Nordentoft, decided to build a Danish colony on the west coast in 1906. They established the Danish-American Colony Company in San Francisco in 1910 and bought land in the Santa Ynez Valley in 1911 for $40 an acre. 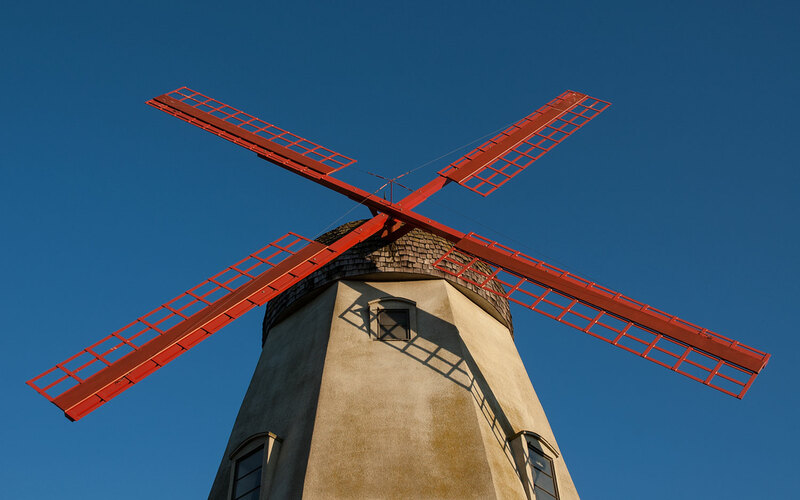 They founded Solvang and built businesses, houses, a school, and a college where students were taught in both English and Chinese. 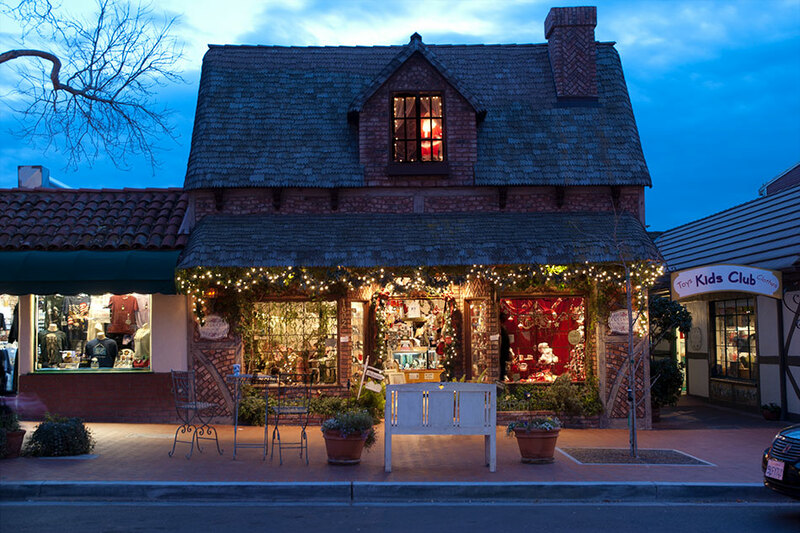 The Danes of Solvang learned English and American customs, but also kept Danish traditions such as holidays, folk dancing and singing and Danish pastries and other treats. A 1936 celebration for the 25th anniversary of the town’s founding was so successful that it gave rise to an annual Danish Days celebration held the third weekend in September with folk dancing, music, a parade and a Danish breakfast. 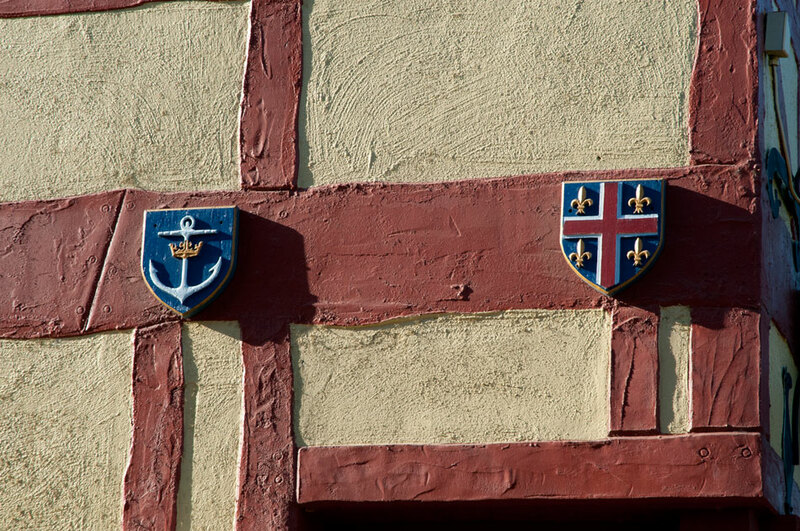 ...and faux half-timbered facades. Traditional post-and-beam timber construction didn't work in the climate because it caused the timbers to expand and contract too much, so buildings were given timber-style facades. The new architecture was so attractive that it sparked a tourism boom that transformed the town. The village, now called the Danish Capital of the World, is visited by more than a million people a year. A replica of Copenhagen's Little Mermaid statue and a scaled down replica of Copenhagen's Round Tower ((Rundetårn) are in the center of Solvang. One of California’s old Spanish Missions, Mission Santa Inés, is still an operating church and historical site in Solvang as well. A horse-drawn replica of a 19th-century Danish streetcar takes visitors around town, where what was once called Main Street is now Copenhagen Drive. Other streets also have Danish names. 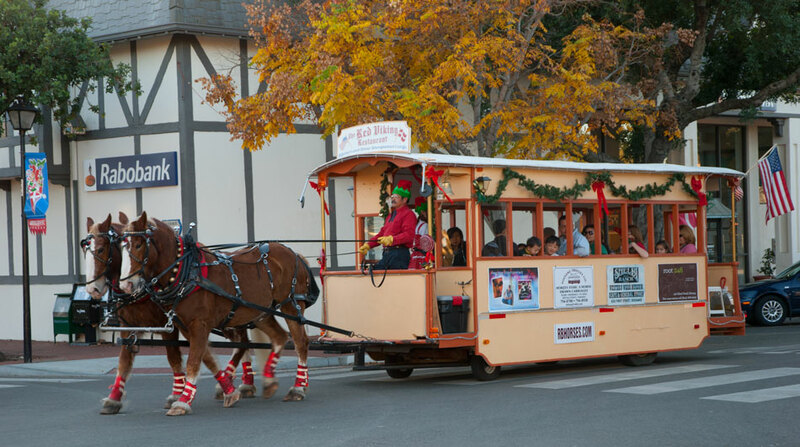 Around Christmastime, Solvang has a Julefest parade and other activities.The town becomes a wonderland of traditional Christmas decorations. Dairy farming flourished in the town in the early 1900s and delicious ice cream and other dairy products can still be purchased there. 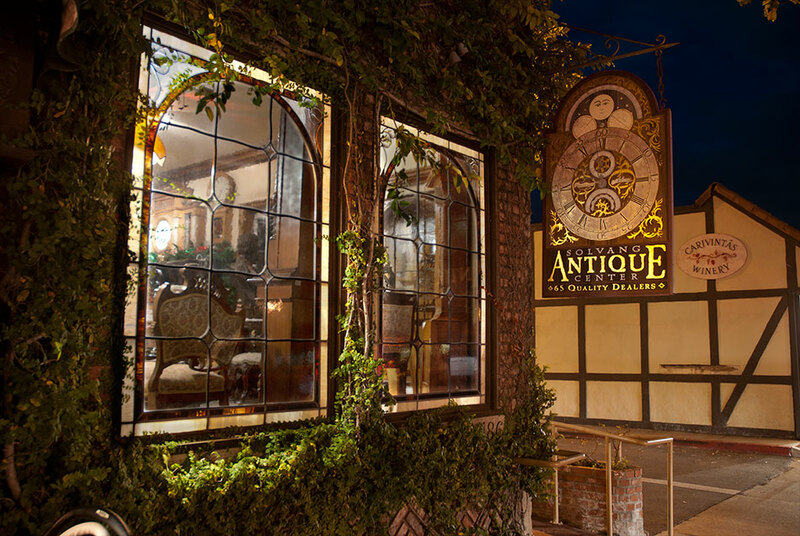 There are antique and art galleries. Although the town is known as a Danish town, it is multiethnic. 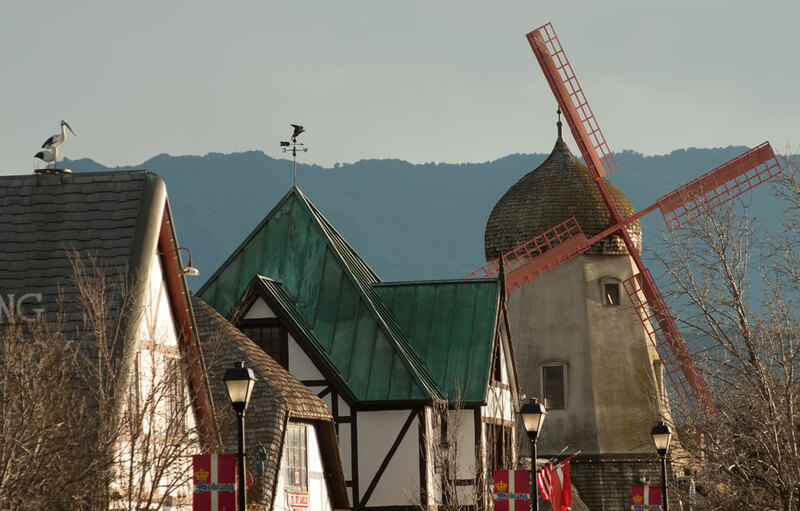 More than one in four Solvang residents are Hispanic and more than one in ten are from the Pacific Islands. Hobblecreek.us is produced by Rouviere Media, a multimedia company based in a cottage with a round door near the mouth of Hobble Creek Canyon in Mapleton, Utah. 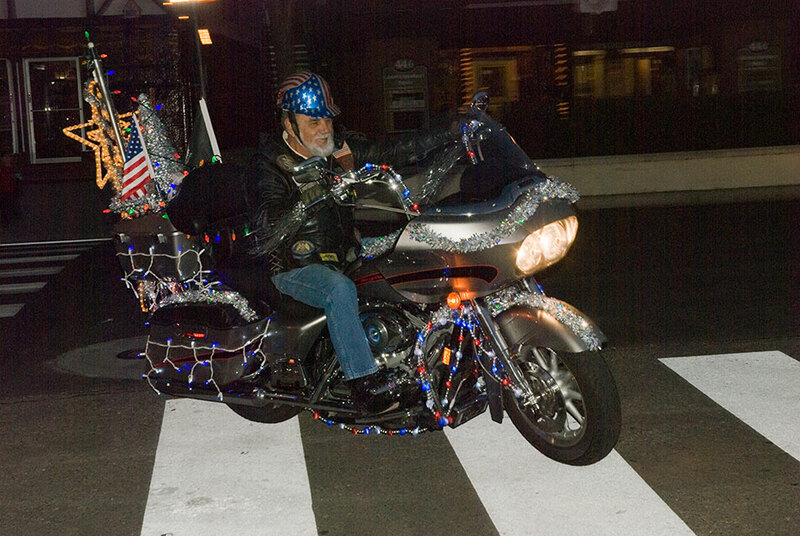 Hobble Creek does photo-illustrated stories on national and international topics large and small. ©2019 Rouviere Media. All rights reserved.